Clean Title! 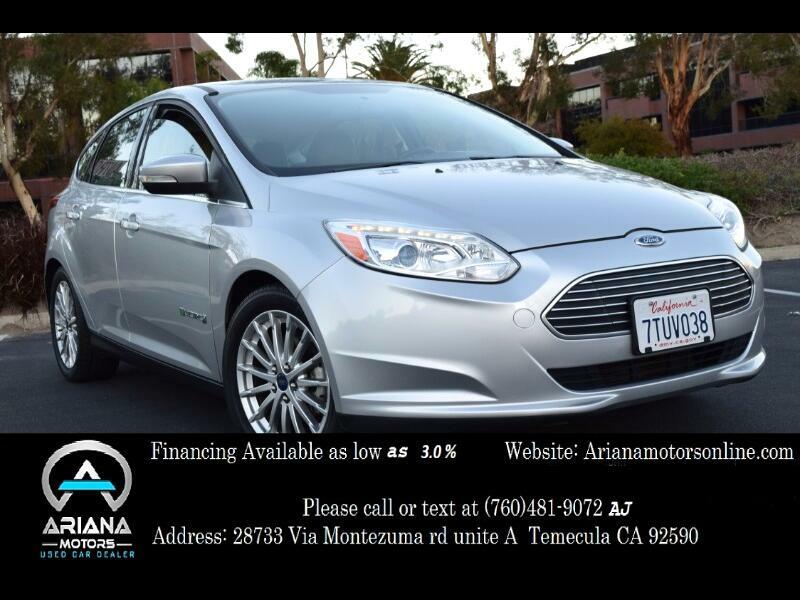 2013 Ford Focus Electric, Electric Engine, Automatic Transmission, Clean Title with 51,318 Miles. This Ford is absolutely beautiful with its silver exterior and silver cloth interior. This is a must see! In excellent condition inside and out! Drives smooth like new! Please review vehicle options for more information. Please call or text for vehicle availability at 760-481-9072. All Vehicle Trade-ins are welcome! Dealership hours are as follows: Monday - Friday (10am - 6pm) Saturday ( 10am - 5pm) Sunday by appointment only. Financing starts as low as 3.00%! !